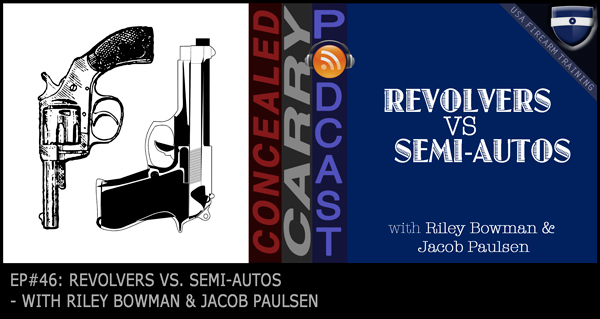 Topic: Going through the core pros and cons of semi-automatics and revolvers. It is an old debate and it applies to each of us individually as we choose the firearm to defend our lives and the lives of our loved ones. Today’s episode is sponsored by “The Purchasing Guide for Self Defense Handguns.” This downloadable eBook available on our website, is designed to help shooters go through the best process to finding the right firearm for each individual shooter. In addition it has tips that help most buyers save money on the purchase! Click here to learn more.